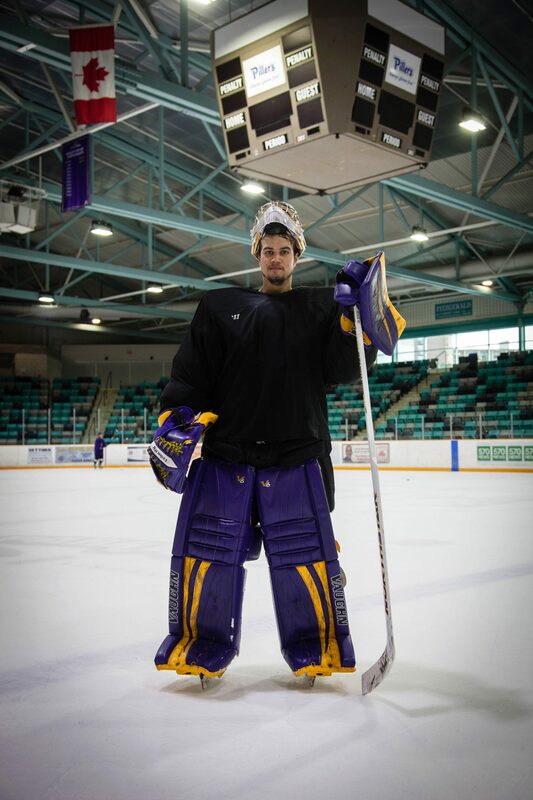 Long time Wilfrid Laurier Golden Hawk goaltender Colin Furlong has joined HC Pustertal Wolfe, a professional European hockey team that’s part of the Alps Hockey League. Furlong signed a professional contract with the Italian side earlier this summer after spending four years with the Golden Hawks. For Furlong, playing at a professional level was always the ultimate goal ever since he started his hockey career. “That’s the big part of what made me come to school [Laurier] actually. I obviously wanted to get an education as well but the hockey was a big thing for me,” he said. Playing professionally won’t just be a big challenge on the ice for Furlong, but also off the ice due to the difference in culture and language in Italy. “Where I’m going, both Italian and German are common languages and I don’t speak either. It’ll be different when I’m going around in the city, but in the dressing room it should be pretty similar [to what it is in North America],” Furlong said. The Cambridge native began his journey with the Hawks in 2014, making two starts for the men’s hockey team with a record of 1-1. Furlong took over the starting goalie position for Laurier in his second year with the team. Not only did his level of play improve every year, Furlong transformed into one of the leaders on an up and coming Golden Hawks team. Although the Hawks struggled with inconsistency last year, Furlong believes that the purple and gold are headed in the right direction. “These last two years, we had a very skilled team and everyone was very close [to each other], but I’m not too sure exactly what happened. Injuries were a huge part [of our inconsistency],” he said. “Every year during my Laurier career, a couple of key guys always got injured at some point during the season and that would obviously affect the team, but I think they just need to keep going in the direction they have been going in and be consistent every game, every practice,” Furlong added. Playing professionally is often the goal for every aspiring athlete and it’ll be interesting to see how Colin Furlong develops and adapts his game to compete at the highest level. Furlong believes that the hardworking mindset he adopted from his time with the Hawks will be invaluable. Losing a talent like Furlong will not only be a huge hit to the Hawks on the ice, but his presence will also sorely be missed in the Laurier locker room. It will be interesting to see how the Hawks deal with Furlong’s absence from the team and this question only adds to the intrigue in what is shaping up to an exciting 2018-19 season.